Our first weekend blogpost for 2019 showcases 10 species of butterflies that are more often spotted on Pulau Ubin than any other location in Singapore. Some are not uncommon when they make a seasonal appearance, whilst others are rare and seen only once or twice on the island. Quite a few of the species featured in this article include newly discovered/re-discovered species for Singapore. 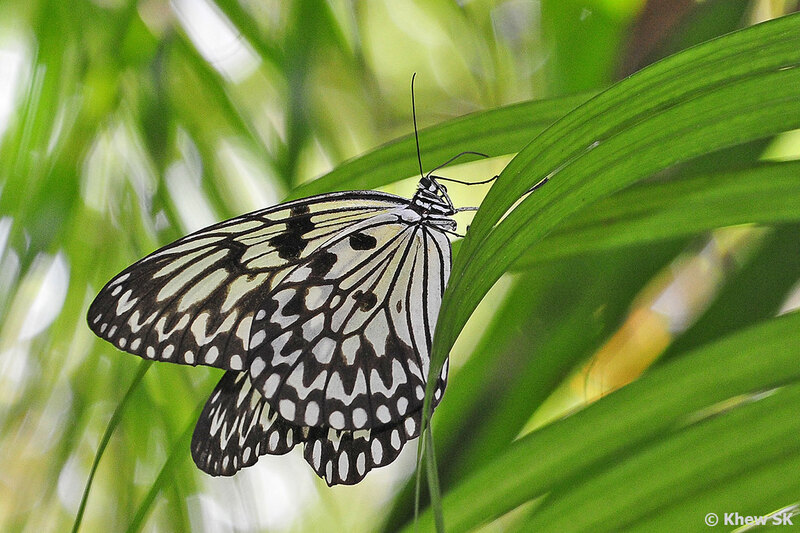 Amongst the Papilionidae, two species are noteworthy. 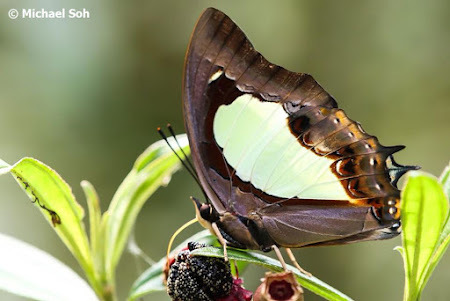 The first is the Malayan Birdwing (Troides amphrysus ruficollis). A re-discovered species that was first documented in 2011, a free-ranging male was photographed in late Nov 2013 on Pulau Ubin. Recorded as extant in the early authors' checklists, the Malayan Birdwing has not been seen in Singapore for a long time. The species is known for its wide flight range and the male spotted in Nov 2013 could have been aided by the North-easterly winds during the monsoon months of the year in this region. 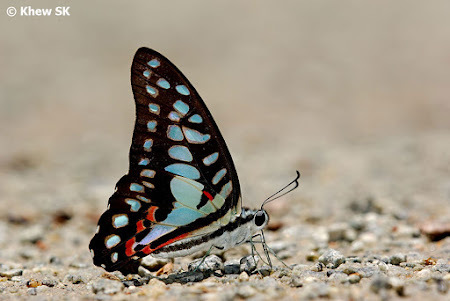 The second Papilionidae is the Common Jay (Graphium doson evemonides). 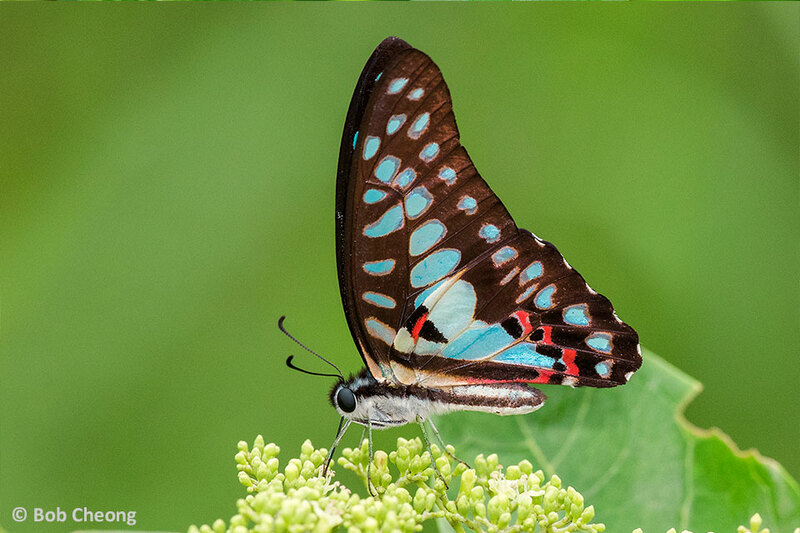 A new discovery when it was first spotted in 2004, the species is regularly seen on Pulau Ubin. 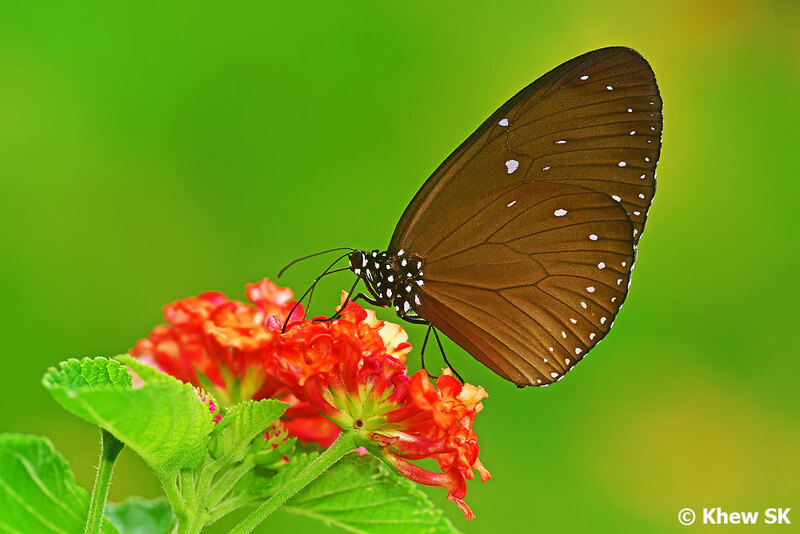 Given that its caterpillars can feed on a number of relatively common host plants on the island, the colony of Common Jay that currently still exists on the island is probably quite sustainable. 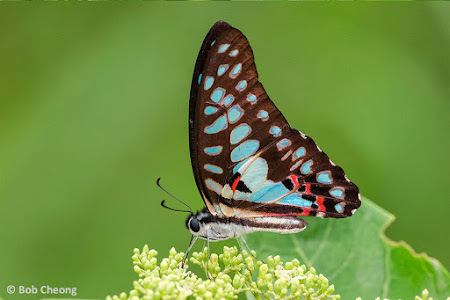 Even as recent as in Jan 2019, a Common Jay was spotted feeding on the flowers of Lantana at Butterfly Hill. A recent re-discovery amongst the Pieridae, is the Orange Gull (Cepora iudith malaya), that was spotted puddling on the island. Listed on the checklists of the early authors, this species has not been seen in the past three decades at least, until Dec 2018. Again, the theory that some of these strong-flying species were aided by the tail-winds of the North east prevailing winds could be true. 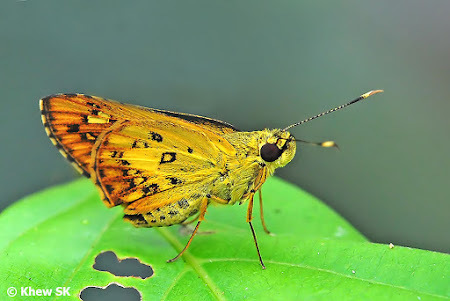 Back in March 2011, a female Wanderer (Pareronia valeria lutescens) was photographed on Pulau Ubin. Although reports of the fast-flying males were made some time earlier, no reliable evidence of this species was available until this female was spotted perched on a leaf in the shady undergrowth. Again, considering the month that this species was found in Singapore, there could be a correlation with the North-easterly winds that are prevailing from around Dec to early March annually as defined by the Meteorological Services of Singapore website. 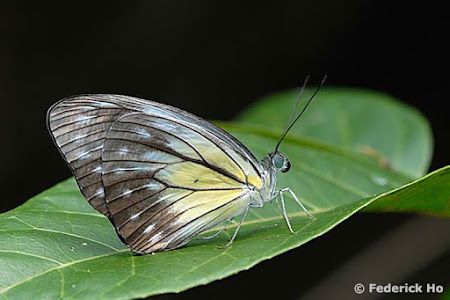 Amongst the Danainae, the Grey Glassy Tiger (Ideopsis juventa sitah) was discovered in Oct 2014. 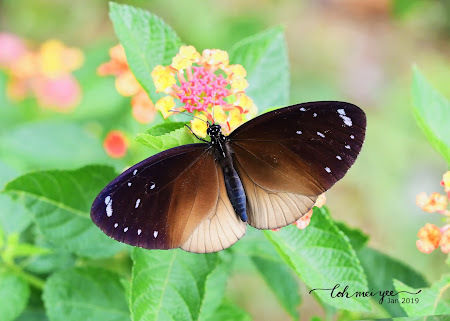 The robust Danainae, known for their toughness and migratory characteristics, are able to fly long distances and perhaps this individual made it to Pulau Ubin from up north. 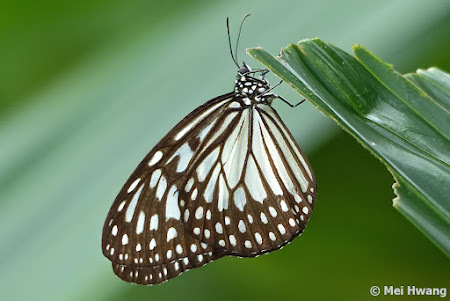 However, what is curious is that another individual was photographed at the Singapore Botanic Gardens in Jul/Aug 2015 that debunks any theory that these are wind-aided individuals that reached Singapore. The Dwarf Crow (Euploea tulliolus ledereri), first spotted on Pulau Ubin in 2002, continues to be regularly seen on the island and makes seasonal appearances where it can be considered common. Then it disappears altogether for several months and then re-appears again where up to five or six individuals can be observed together at nectaring plants on the island. Recorded as a re-discovery, the colony of Dwarf Crow is probably a sustainable population as it has been seen almost annually on the island. One of our largest butterflies in terms of wing surface area, is the Mangrove Tree Nymph (Idea leuconoe chersonesia). 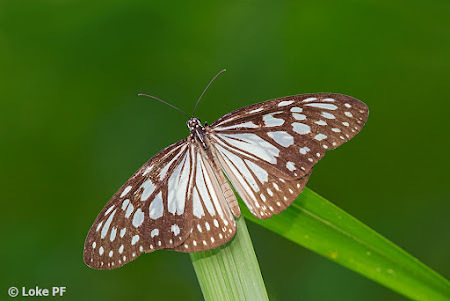 This subspecies, which is mainly found in mangrove swamps in Malaysia, Singapore and Indonesia, is very rare and local. 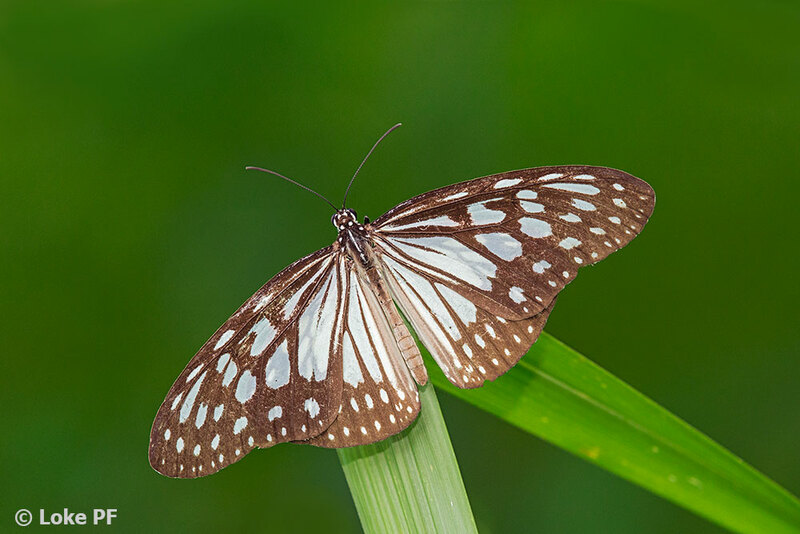 First observed during a survey of the butterfly fauna of Pulau Tekong, a Mangrove Tree Nymph was photographed on Butterfly Hill at Pulau Ubin in Jul 2013. 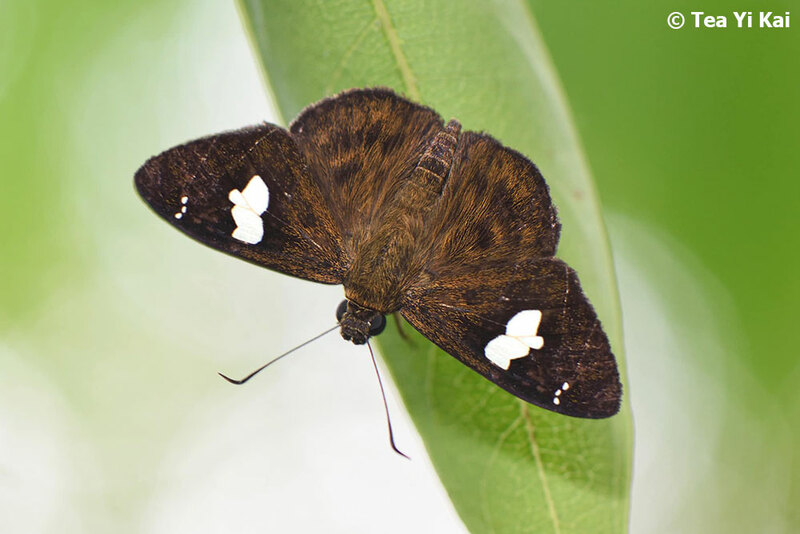 The Malayan Nawab (Polyura moori moori) another re-discovery, has been spotted at least half a dozen times on Pulau Ubin. Given its similarity to the Plain Nawab (Polyura hebe plautus), it is likely that this species may have been missed earlier or misidentified as its commoner cousin. 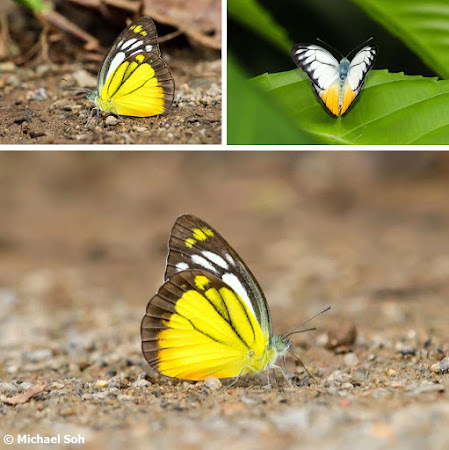 As recent as in Oct 2018, another individual was photographed again on Pulau Ubin. Thus far, the species has not been reliably seen on the main island of Singapore yet. 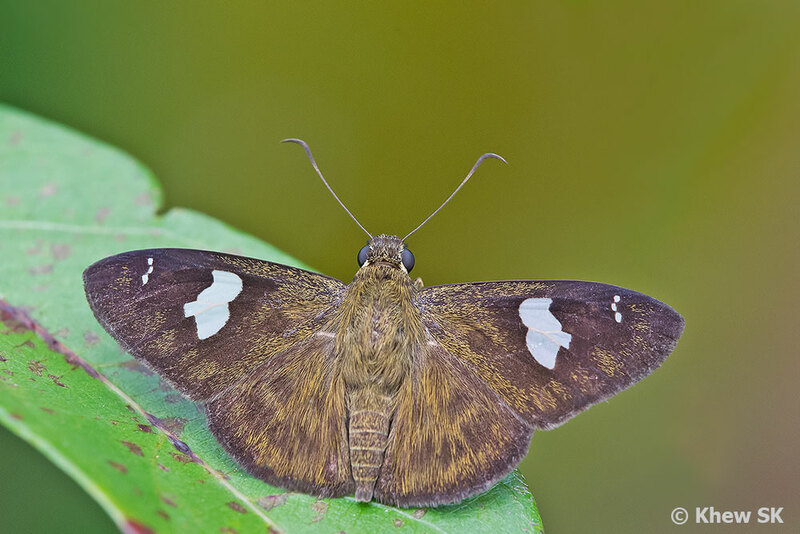 Amongst the Hesperiidae, another Ubin "resident" species is the White Banded Flat (Celaenorrhinus asmara asmara) which was first spotted in 2011. Unlike the vagrants or seasonal migrants, this species is extant on Pulau Ubin and a viable colony has existed till now. As recently as Jan 2019, the White Banded Flat has been spotted on the island. The final species of the top 10 interesting Ubin butterflies is the Yellow Streak Darter (Salanoemia tavoyana). First discovered in 2011, this very rare species occurs on the island in a small localised colony. The caterpillars were found on the Mangrove Fan Palm (Licuala spinosa) and successfully bred to adulthood. However, the adult is rarely seen and prefers to lurk in heavily shaded vegetation. There are likely to be several more species to be added to the Ubin list of unique and interesting butterflies, but that will be for another time. 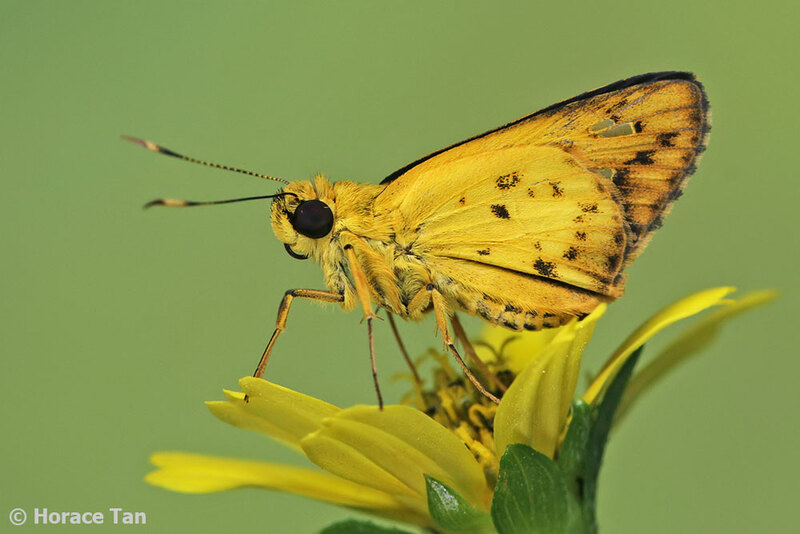 Ubin is probably a convenient 'pit-stop' for migratory or stray butterflies coming from Malaysia, and more should be looked out for in future.